Inspired by those beautiful blue beauties decorating the highways and backroads of Texas in early Spring! 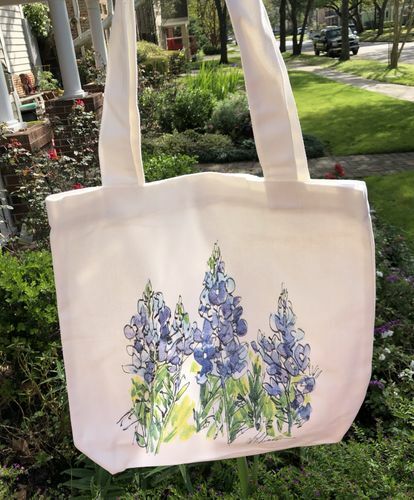 This is an original watercolor that has been screen printed onto our bright white oversized tote. Tote is sized to approximately 16”x16”. Straps are 12” long. Slight texture to the bag which gives it a softness that made me fall in love with the tote. This artwork is printed and ready to ship immediately!